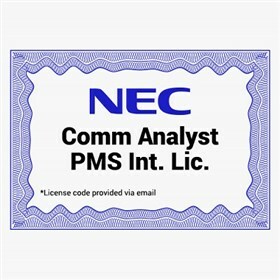 The NEC 1101116 is a comm analyst PMS integration license, which provides interface to property management systems for guest billing services. The license must be used in conjunction with the CA 20-Station license (1101109) or the CA Full System license (1101110). The NEC 1101116 has many exciting features for users of all types. The NEC 1101116 is sold as a Brand New Unopened Item.